However, as the Chronicle reported, the service is not regulated in California, which is among the 24 supported states Coinbase has listed. The California Department of Business Oversight states it has not issued any licenses for digital currency exchanges, meaning the state has not investigated Coinbase to determine whether it is safe for consumers. 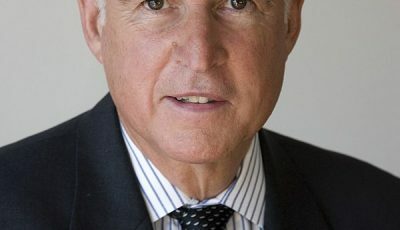 “It’s not that if they operate in California, they’re breaking the law, but it’s important that consumers be aware that the Coinbase exchange is not regulated or licensed in California,” said Tom Dresslar, a department spokesman, to the Chronicle. The newspaper reported on that on Tuesday, Coinbase backtracked, stating that it has licenses in 14 states, did not require licenses in eight, and that two – California and New York – are in a “grey zone” while they work out regulations. Digital currency regulation is still a matter of debate in California. Like PayPal and Western Union, Coinbase Exchange would probably be regulated as a money transmitter in the state, said Dresslar. “We have not made a decision about whether to regulate virtual currency under our money transmitter statute,” he said. Unlike in Europe, US regulation of Bitcoin exchanges fall under state jurisdiction, said Jesse Powell, CEO of Kraken, a San Francisco digital currency exchange whose customer base is largely in Europe, where it is licensed. Some exchanges still run outside regulatory boundaries, which Powell described as a dangerous game that could have consequences. For some people, Bitcoin’s appeal lies in the fact that it is unregulated, with no authoritative body overseeing it. But consumer protections will not scare off many Bitcoin users, Powell said to the Chronicle. Hey California. Worry about real financial issues like bankers and wall street. We can handle our digital money just fine. If you worry about money laundering, worry about the USD which is where all the action is.